MALACANANG DISMISSES TRILLANES' ALLEGATION his "house under surveillance"
Malacañang just shrugged off the allegation of opposition Senator Antonio Trillanes IV that his house was under surveillance. Currently, the senator is in the Senate awaiting for the warrant of arrest to be issued by the court. Trillanes halts to continue leaving the Senate office after he thought that there were suspicious vehicles roaming around his house. Trillanes released a footage showing vehicles he called "highly suspicious activity". 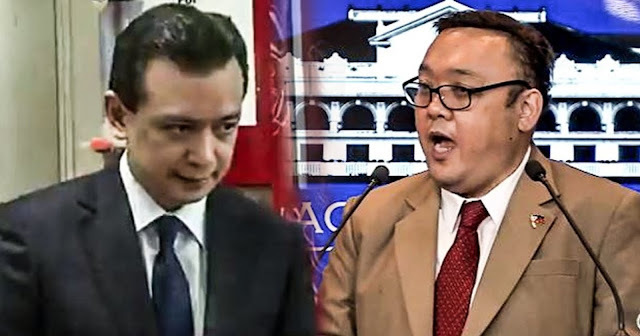 Presidential Spokesperson Harry Roque said that "First it’s drama. And now it appears to be paranoia."